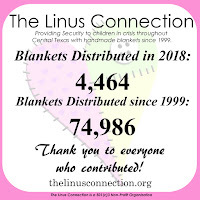 Kristina and her mom, Executive Director Stephanie Sabatini, share their own thank yous for the generosity of Linus volunteers as well as sharing letters from some of our recipient facilities. 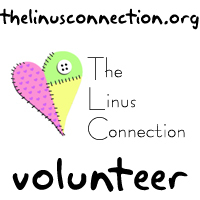 You can now make donations to The Linus Connection through Network For Good! All donations are tax deductible. Simply click the banner above, donating is simple and secure. After the Sabatini home was lost in the Steiner Ranch fires, it became necessary for our organization to acquire a new mailing address. Please use this address for all future deliveries and paper correspondence. If you have paper labels, brochures or receipts, you can help by updating the address. Download a printable version for Avery address labels with the following numbers: 5160, 5260, 5520, 5620, 5630, 5660, 5810, 5960, 6241, 6460, 6461, 6498, 6560, 6970, 8160, 8250, 8460, 8620, 8660, 8810, 8860, 8920, 15510, 15520, 15660, 15970, 15971, 15972, 16460, 18160, 18260, 18460, 18660, 28660, 32660, 38260, 48160, 48360, 48460, 48860, 48960, 55160, 58160, 58660, 75160, 85560, 88560. The 2012 fundraiser for The Linus Connection is the raffle of the gorgeous quilt shown below. Ticket sales are through February 2012. Tickets are $1 each OR $5 for 6 tickets. 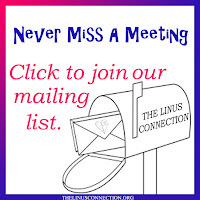 Tickets may be purchased from any Linus Connection volunteer, at monthly meetings through February, at Honey Bee Quilt Store (see below) or via email from Valerie. We will celebrate the holiday season at our December meeting. Volunteers are encouraged to bring a sweet treat to share! There will be no demo in December as we socialize with our fellow Linus volunteers. 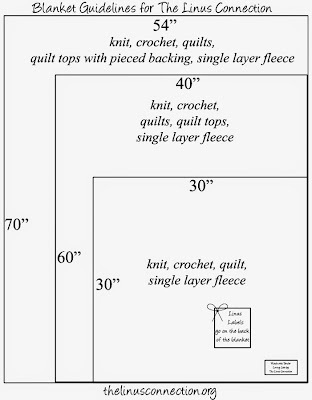 We are looking for volunteers to present Demonstrations at the January, February and March 2012 meetings. 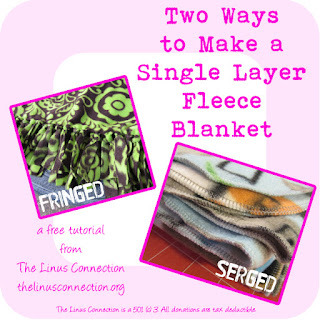 If you have a tip or technique you'd like to share, please email Jennifer. Blankets were shown and donated on November 19, 2011. They are not necessarily being shown by the person that made them. Blanket Sorters, hard at work.